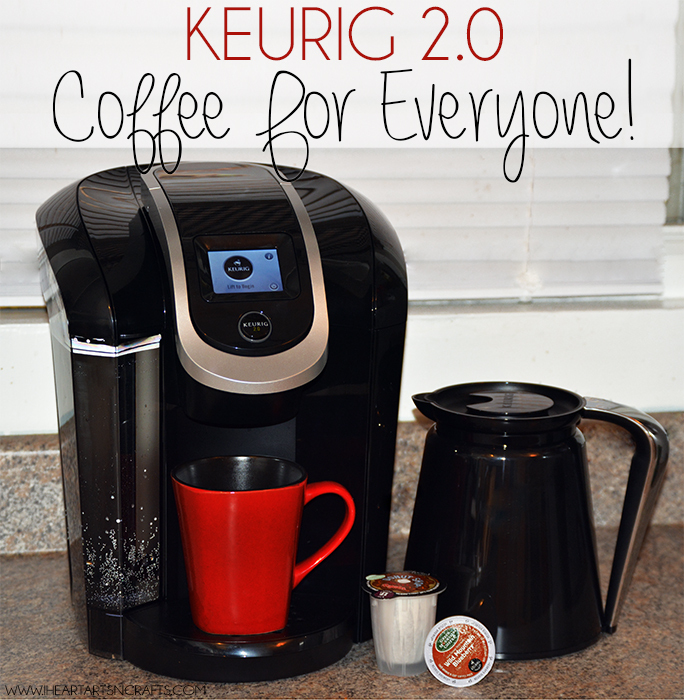 Keurig 2.0 | Coffee For Everyone & Giveaway! 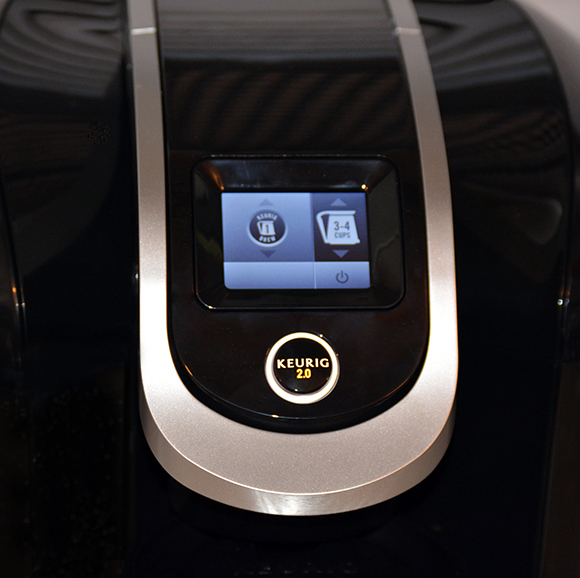 When I was asked to review the new Keurig 2.0 I was beyond excited! My husband gifted me the Keurig Platinum K75 and it has become a staple in our morning routine. So I was curious to see just how the Keurig 2.0 is an improvement to my already favorite coffee brewer. Besides just my husband and I loving our Keurig, our son enjoys some of his favorite winter beverages with it too. Lately, after a busy day of holiday shopping we love coming home and snuggling up to some Christmas classic movies and some hot apple cider or hot cocoa brewed in just seconds on our Keurig! The Keurig 2.0 is all touch screen and super simple to use, but the best feature of the new and improved Keurig 2.0 is the Carafe option. You have the option to make a single K-Cup Pack or brew a K-Carafe Pack which can brew up to 4 cups of coffee at once. Making it absolutely perfect for this time of year because we are always entertaining guests! What’s really awesome about the Keurig 2.0 is that it automatically reads the lid of the K-Cup pack to deliver you the best beverage possible, every single time! And because Keurig offers 400 K-Cup Pack varieties from over 60 different brands there’s something for everyone. Even in my household my husband is an espresso drinker, I’m a fan of the flavored and iced coffee beverages, and my son loves the hot apple cider and hot cocoa so we’re always stocked with a variety of K-Cup Packs! If you’re considering gifting the Keurig 2.0 to someone special this year you can purchase it at your local Walmart here. 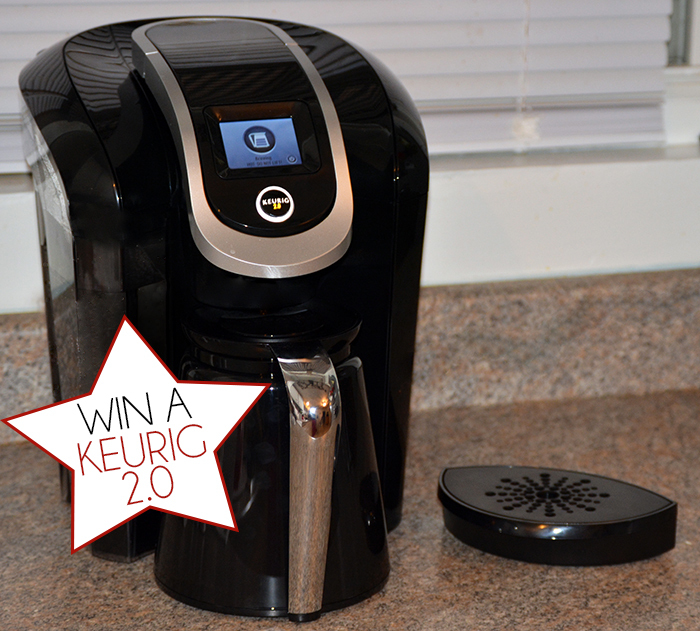 I’ve partnered up with Keurig to give you this AMAZING giveaway for a chance to win your own Keurig 2.o! * Please note: This giveaway is for USA participants only! 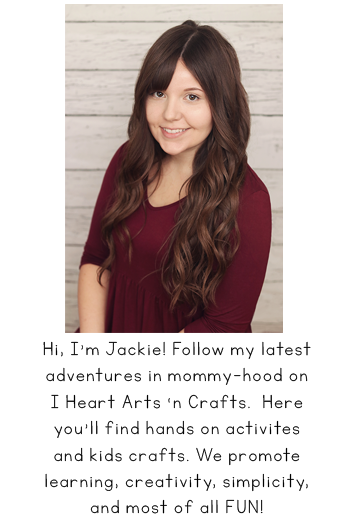 The winner of this giveaway will not receive the Keurig 2.0 before or on Christmas. Enter below and stay up to date with Keurig by following them on Facebook and Twitter! I love the Southern Sweet Tea! Hard to have just one favorite…Barista Prima is definitely on the top of my list. I like the lipton sweetened ice tea cups the most. I love the Keurig K-Cups, Green Mountain Breakfast Blend Coffee. Probably would be lipton sweet tea. Or bold roast coffee. My favorite k cup pack is the caramel vanilla cream by green mountain coffee! It is very delicious and if you haven’t tried it, YOU NEED TO RIGHT NOW!!!!! lol. Iv never owned a Keurig but I love coffee and flavored coffees to. Probably French Vanilla, but there are so many options I need to try! Oh I am not sure, we have not had one before…but I Think I would love Lemon Tea ones!!! The french vanilla is my favorite!! I’ve been loving the apple cider lately! My favorite is French Roast. We would love hot cocoa and any flavored coffee! 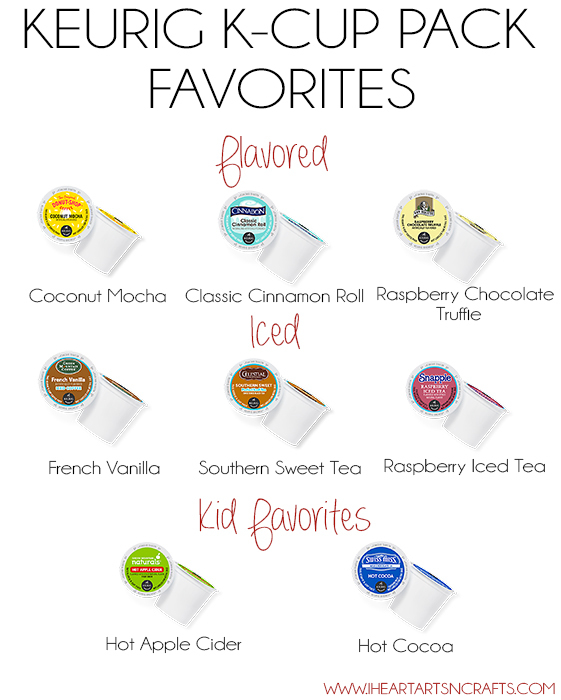 I don’t own a Keurig, just yet….. but if I did, I think my favorite flavors would be a chai, and lighter coffee flavors! I love Donut Shop Coffee but on a cold winter day the apple cider is delicious too!!! I’ve not tried a Keurig yet, but my favorite coffee is dark roast, unflavored. I love the apple cider! The coconut mocha looks really good. The classic cinnamon roll just sounds so yummy. I really think (because I have not yet tried) that my favorite flavor would be the Coconut Mocha. Yum. Usually I like a dark roast, but this Cinnamon Roll sounds delicious. Chai latte is my favorite. My favorites are Emeril’s line of coffee, especially the “Big Easy Bold”. Gingerbread is definitely on my favorites list! I haven’t tried this brand, but I’m pretty sure I would love it. I haven’t had an opportunity to try them yet however French vanilla or cinnamon roll sound good. I’ve never tried a Kcup before, but the french vanilla sounds wonderful! I love donut shop style coffee k cups for my morning coffee. Makes me dream of having fresh donuts which I rarely indulge in. I love San Francisco Bay Coffee, Breakfast Blend. I love french vanilla for sure! I like the Half Caff Coffee K-Cups. I would LOVE the cinnamon! I don’thave a Keurig, but I would like any of the hazelnut k cups. I have never tried K-Cups but I would love to try Hot cocoa and plus so many other’s. I like the Donut Shop or French Vanilla. Swiss Miss is my favorite. I would like to try dunkin donut coffee. I like the new Gevalia cappuccino. My favorite K-cup is Green Mountain Nantucket coffee. I love the iced tea collection. I’ve never tried k-cups but I would love to try the donut shop and hot chocolate! These sound amazing,The Keurig has been on my Christmas list for 2 years but Santa isn’t paying attention! I’m not sure which is my favorite, but if I had to choose it might be French Vanilla. I don’t have a Keurig, but I have tried the Green Mountain Hazelnut Coffee at an in- store demo. It was delicious! If I have to choose, I would select French Vanilla. I love the Donut Shop varieties. Haven’t tried K-cups yet, but the Raspberry Chocolate Truffle sounds delicious! Thanks. Coconut Mocha would be one for me to try. Raspberry Iced Tea but like them all. I like the hot cocoa and mocha flavor k-cups the best.But I have only had the Keurig coffee at a friend’s home. The Hot Cocoa is my favorite. The kids pack sounds good to me. I have not tried the classic cinnamon roll but it sounds yummy. Otherwise I really like the French vanilla. Hot apple cider sounds yummy! Classic cinnamon roll is my favorite. My favorite K Cup pack is donut shop. Its the only kcup that i know of that is not very acidic. 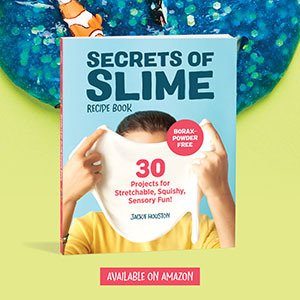 This is a great sweets to enter. Swiss Miss is my Fav. I love the coconut mocha, yum! Green Mountain blends are my favorite. I have not been able to try them but the coconut mocha sounds delicious. My favorite is the Donut Shop coffee. Thanks for the giveaway! I’ve never tried any of the keurig coffee’s but I’m going to say hot cocoa, because I’m not a coffee drinker. Hubby is the coffee drinker in the house. We love the Caribou Coffee Daybreak. I like French Vanilla the best. 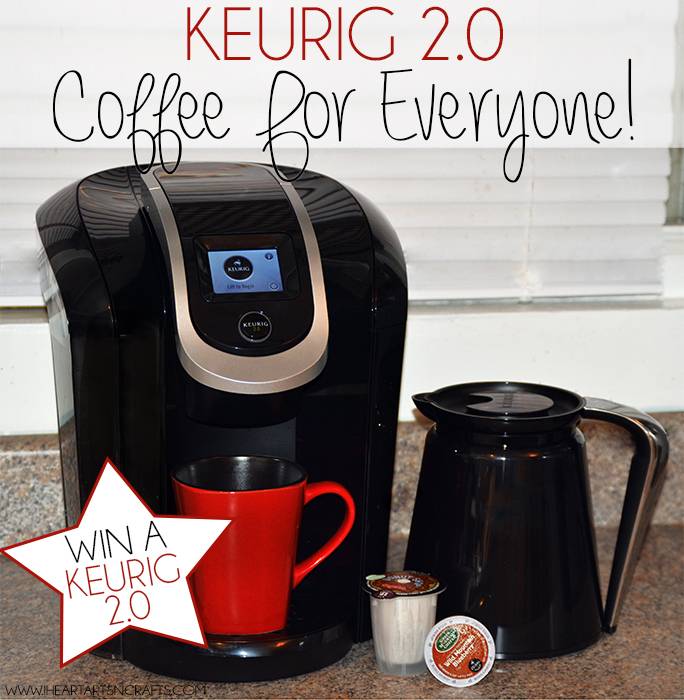 I’ve never tried a Keurig K Cup Pack so I hope to win one! I’d say French Vanilla if I had to pick! I’d love to try the Cafe Express Caramel….im a caramel addict! I loved the french vanilla I had at a friend’s house.